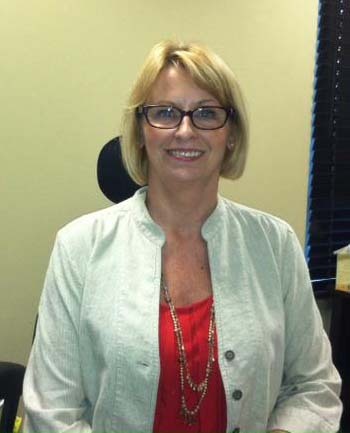 Vicki Jackson is the new general manager at Clarion Inn & Suites. Clarion Inn & Suites announced in a news release Tuesday that it hired Vicki Jackson as its new general manager. Jackson has been working in hotel sales management since the 1980s in more than five different companies. The Clarion has been adding new staff and sprucing up the building since it finalized the purchase of the hotel in January. Retail sales: Moffat County retail sales dropped in December 2013 compared to the same month a year before. December 2013 sales were down 20 percent. But Routt County saw a slight boost in its December numbers with a 1.6 percent increase in real estate sales. Employment: Routt County’s unemployment rate hit a five-year low in January, dipping to 4.5 percent. While Moffat County saw the lowest January unemployment rate in four years, it still saw a 7 percent increase. Real estate: The average February home listing in Moffat County remained steady at $175,000, whereas Routt County saw a drop compared to previous months. Routt County’s average home price dipped to $495,000. Energy: Both Routt and Moffat counties saw a 10 percent drop in coal production in 2013, which was still better than the statewide trend. Colorado saw a 21 percent decrease in coal production last year. Routt and Moffat counties produced approximately half of the state’s coal production in December. Routt County saw a 33 percent bump in gas production in last year. Climate: At the end of March, snow-water equivalent was at a healthy average of 140 percent on Rabbit Ears Pass and 119 percent on Buffalo Pass. Snowpack remained at 123 percent for the Yampa/White River Basin. That surpassed the statewide average of 113 percent. CC Auto Body and Repairs moved to a new location on 451 Green St., in November. Extinguisher Solutions, owned by Kevin Kernen, purchased CC Auto’s previous location, on 405 Breeze St. Kernen’s business focuses on extinguisher sales, but provides many other services, he said. Kernen also sells a full line of automotive accessories. He plans to repaint the building once the weather allows it. Peabody Energy announced Friday that Twentymile Mine won the President’s Award for having the United State’s safest performance for underground operations in 2013. This is the fourth time the mine has won the President’s Award for safety in the past decade. No other underground mine has won the award that many times.